Firefox 3 will be up for grabs at 10 AM Los Angeles time. 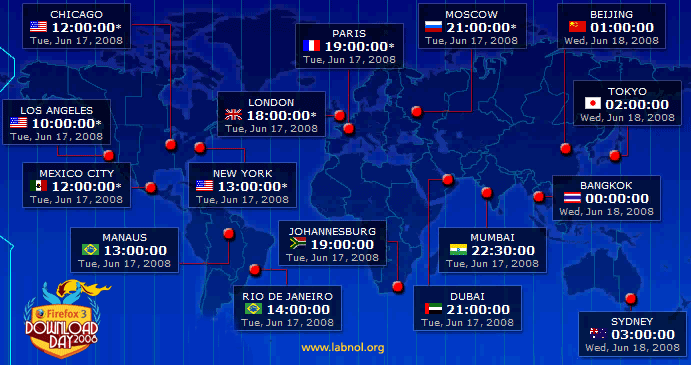 If you are in a different part of the world, refer to this world time map and know the exact time when Firefox 3 will become available in your region. Happy Firefox 3 Download Day. Update: Firefox 3 is released though unofficially.